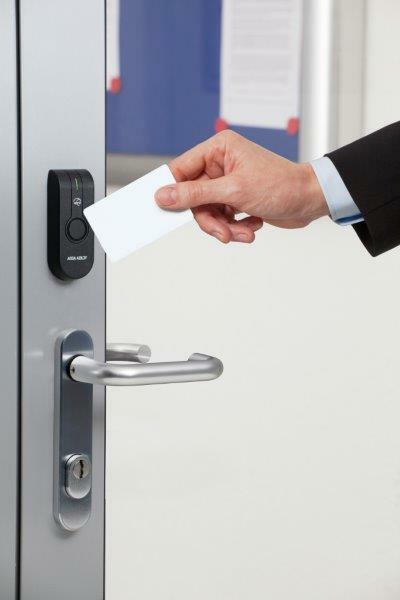 Assa Abloy Access Control, has released the latest dates for its free Aperio® technical training course, which provides an invaluable insight into the innovative wireless locking technology’s many benefits. Offering an informative overview of the Aperio® system’s capabilities, the free course covers its intelligent hardware features, product specifications, operating processes, best installation practice and other technological advantages. Attendees are also given a demonstration of the system’s wireless hub configuration, how to install, configure and commission Aperio® devices. The course then finishes with a meeting focused on troubleshooting, and a question and answers session. A straight-forward, convenient and cost-effective alternative to wired, high-end access control solutions, Aperio® is a smart technology that enables the wireless linking of mechanical locks to existing access control systems. The technology uses a card-based solution to eliminate the logistical challenge associated with lost keys. “The Aperio® course gives installers an invaluable opportunity to see how integrating the technology into their existing access control systems could cut energy and maintenance costs, while removing the frustration and administration involved with lost keys. “We continue to hold the course at a centre of excellence for training – our dedicated ASSA ABLOY Academy in Willenhall. Over 100 attendees benefitted from the course last year, and we hope to host many more this year and in 2019. The course is suitable for access control manufacturers, installers, and engineers”. Refreshments are provided throughout the day, as well as lunch. Larger companies wishing to book onto the Aperio® training course may be able to specify a separate training date.